Myth: It used to be that you couldn't get hired unless you had served in the military – the Israel Defense Forces or IDF – regardless of whether your service was related to the proposed job. Fact: If this was ever really true, the Russian aliya of the early '90s put an end to it. In addition, the rate of exemption from army service for Israel's eligible youth continues to increase so it would have ended anyway. There will always be some jobs that require specific army experience but nowadays the reasoning will be clear from the job description. Myth: It's impossible to find work in Israel while you still live abroad. 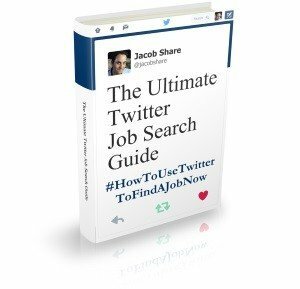 Fact: It is possible and it's never been easier, but job hunting is hard enough without this extra dimension so it's still not recommended. If you're thinking of making aliya, you should check with the shaliach from the nearest branch of the Jewish Agency about the programs they have to help olim find work before moving to Israel (up to 6 months in advance, even). For anyone else, you will first need to convince recruiters and hiring companies that you are able to move back to Israel quickly enough for them (1-2 months usually) otherwise your job search will not get far. Later, you will also need to fly in at least once for a face-to-face interview and hopefully, a contract signing. Fact: Israemploy founder Chaim Fox-Emmett probably won't like my saying this but different jobs require different levels of Hebrew, and some jobs don't require any at all- but their interviewer might. If you can, learn Hebrew as much as possible before coming to Israel and after you have arrived but Chaim makes a good point when he says that it's better to work than sit in Ulpan during those critical first months. This article is part of Dakars' Myths Group Writing project. Enjoy the debunking? 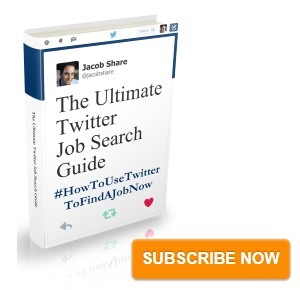 Subscribe to JobMob via RSS or email and follow me on Twitter for more demystifying and unraveling of the Israeli job market. Without the right connections in Israel the chance of getting a good job is minimal. Although I am an Israeli that served in the IDF and completed a professional degree in Israel before going overseas for about 15 years I found it very difficult. After 7-8 months, I gave it up and happily now going back. I had very very few interviews, while I have been told more often than not that I am overqualified and so on. Moshe, sorry to hear that your Israeli job search was unsuccessful and I can understand your happy feeling at putting it behind you. Is your decision to leave final? If a lead appeared in the next few days or weeks, could that change your direction? What kind of work were you looking for and where? Networking is critical in any job market, Israel or elsewhere. The smaller the market, the more important networking becomes and that’s one of the reasons why I started JobMob, to build a community of people to help each other the way you would have liked. Recruiters spend more time networking than doing anything else. What about you? What kind of networking did you do? I’m curious and others could definitely benefit from your experience. old-fashioned guy!, you make good points. Doing the Army is a great way to meet good friends who can help you later but last I heard, the rate of ptorim (exemptions) was far above 30% and those kids aren’t going to stay unemployed. Knowing fluent or even conversational Hebrew helps, that’s a no-brainer. But most Israelis are bilingual and as hitech & biotech continue growing, the demand for native speakers of other languages – especially English – has never been so great and isn’t predicted to change any time soon. If anything, there’s a bottleneck that I hinted at above- many Hebrew-speaking recruiters are blocking the way towards English-required jobs. Being in Israel is the most important of the 3. I am an MBA student from India currently studying in Australia. I have an Israeli boyfriend who I wish to marry and move to Israel. I will also be studying to convert to Judaism. I will also be studying hebrew in that period. I would like to know what kind of job opportunities are available for me in Israel. Is it difficult to find a job if I do not speak Hebrew?? I do not mind starting with a job that might not be in the management field until I learn some basic hebrew, just to earn some regular income. Is that a possibility. Any information you can provide me will be very beneficial to me. Hi Manvi. Good luck on your amazing life changes, you’re embarking on quite the journey. There are lots of articles in the JobMob archives that you would find helpful and you’ll want to subscribe for updates. The above one was important but you should also read 5 Ways to Find Jobs in Israel Before Arriving and check the articles in the Best Of tab under Israeli Must-Reads. It is more difficult to find a job without Hebrew but far from impossible. Also, many people have begun to work via the Internet, native Israelis included. So you can live in Israel but work as a freelancer or telecommute for a company elsewhere. only after 2 years of working on my network of people, I finally got a semiserious offer! 4) ethics of work are not easy here and, one of the things that should absolutely change, is the fact of being paid after 60 to 90 days when offering a service as a freelance! this thing, almost made me go back to europe: I found someone who, by taking 8% of my invoice, will pay me 30 days after entering my invoice…..
so yes, sorry but finding a job here as an olah chadashah is really complicated! Alisa, thanks for sharing your experience. In 3) what you describe is called ‘sourcing’, where headhunters hunt for candidates and then aggressively try to recruit them. This exists in Israel but not to the same degree as elsewhere. Here, most recruiters are from placement agencies, not the same thing at all. In 4), you’re referring to what’s called ‘shotef+60’ or ‘shotef+90’. That exists elsewhere too but employers here are more insistent on those arrangements. It’s up to the freelancers to not be desperate in accepting them. Only when employers find no takers will they change their payment terms. I am referring to outsourcing indeed and it exist here: only in a more “laid back” form!! outsourcing also implies that the contractor has the contract with this recruitement company: when this is the case here, the outsourcing company does not care if you don’ accept the “shotef+60 or 90″….they find someone else and that’s it. Sourcing is when recruiters actively look for unsuspecting people and then try to pull them to a new company because they fit the client’s needs. Outsourcing is another word for subcontracting i.e. when a company decides to use external workers (freelancers/consultants). But yes, this is what you’re referring to. And it’s true that in a tough, competitive market, employers will always find someone at the lower price. But you need to convince them why they should pay you more. I’m curious though but it wasn’t clear- you think there should be a law against ‘shotef+X’ payment schemes? well, in my “outsourcing” experience as a freelancer, my contract was always with the outsourcing company, never with the final client. the main difference i found here was that in europe, they will negotiate, try to push you and the client to make a final deal. here, the outsourcing company or the company sending you as freelance, does not really care about that: they impose their policy, no negotiations at all (anything I requested as change has categorically been refused) and, if you do not accept their policy 100%, they don’t even discuss: they just do not call back! there is no reason why it should be shotef +60 or even 90.
i find it incredible that a person starting to work, gets paid for his/her work 4 months after the fist day on the job! and, to be honest, I have never encountered something like this in my previous jobs in europe: shotef+30 was the latest ever. It’s true Alisa, you won’t see shotef+90 in Western Europe and I agree with you that it’s completely ridiculous as a policy, especially when you consider that in some cases you’re required to pay taxes at billing time, when you’re only going to get paid months later. That’s much worse- penalizing you for working & contributing to the economy. Hi, I am an American and was thinking about maybe working as an expatriate in Israel within the next few years. In your opinion, are there opportunities in the Israeli mortgage banking field? I’ve been finding it hard to locate any information in this area, and is it more difficult for someone non-Jewish to obtain a work visa from Israel? Next PostSQLink Group’s Referral Program: gotfriends? or notfriends?